William Devers Brannon passed from this life and into the presence of our Lord and Savior Jesus Christ on January 6, 2019 at the age of 78. Born November 19, 1940 in Chattanooga TN, William was the son of Devers William and Frances Mae Brannon. He grew up as a native of Oak Ridge, graduating from Oak Ridge High School in 1958. After graduation from the academy, he entered the military and was a veteran of the U.S. Air Force. He loved business and was a self-made, lifelong entrepreneur and successful investor. His business interests began in real estate, building homes and apartments throughout East Tennessee, including Brannon Homes and Brannon Estates. He then spent years in the fossil fuel industry, developing coal mines in West Virginia, and drilling and refining oil in Oklahoma and Texas. In later years, William found his passion in above-ground mining of natural resources and worked diligently to explore extraction and refining practices of precious metals. He was an accomplished pilot, loved piloting his own aircraft, and traveled extensively. Although a native of Knoxville, Tennessee and resident of the Fox Den subdivison, William loved Houston and considered Texas his second home. William lived life to the fullest and was always looking forward to his next adventure. 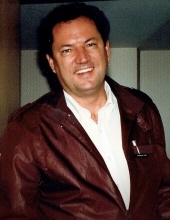 He is preceded in death by his son, Derek H. Brannon, his parents Devers William and Frances Mae Brannon, of Oak Ridge, and brother, Devers Jackson Brannon of Dallas, Texas. William also survived by three grandchildren, Eli, Milly, and Jase Fetsko; niece, Melody A. Schwab, and nephews Matthew D. Lusk and Logan B. Weil. Funeral arrangements are conducted by Click Funeral home of Farragut. A graveside service will be held for family and friends on Monday, January 14th at noon at the National Cemetery 939 Tyson Rd., Knoxville, TN. In lieu of flowers, the family requests donations be made in William’s memory to the Wounded Warrior Project at www.woundedwarriorproject.org/donate. He will forever be sadly missed for his great optimisism, his larger than life attitude and knowledge of so many subjects. To send flowers or a remembrance gift to the family of William Devers Brannon, please visit our Tribute Store. "Email Address" would like to share the life celebration of William Devers Brannon. Click on the "link" to go to share a favorite memory or leave a condolence message for the family.